(TibetanReview.net, Apr04, 2018) – Despite the absence of any official contacts after 2010 when eight years of talks broke down on an acrimonious note in its ninth round, backdoor communications have continued between China and the exile Tibetan establishment, reported news18.com Apr 3, citing an interview with President Lobsang Sangay of the Central Tibetan Administration. However, it was added, there has been no outcome or development worth reporting on, it was added. There has been no official communication with China, there were Track 2, Track 3 conversations that were taking place, the report cited Sangay as saying in an exclusive interview. 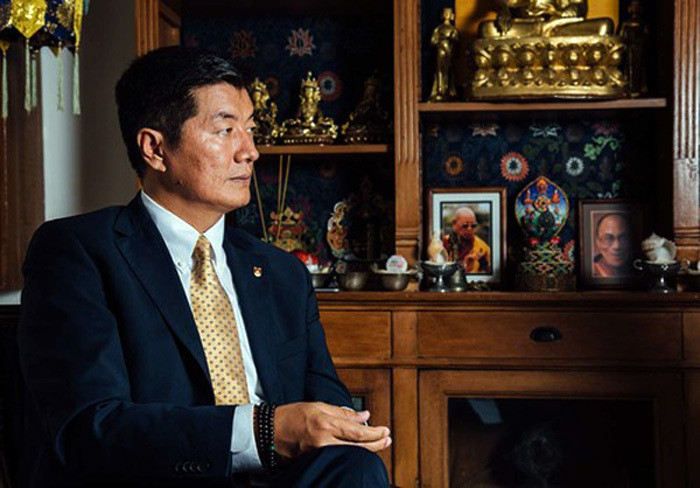 “People keep coming from the Chinese side and we are very transparent with them,” Sangay was quoted as saying. And given the fact that China does not recognize the government in exile which is politically headed by him currently, talks have been taking place only between the envoys of the Dalai Lama, Tibet’s exiled spiritual leader, and “those from the Chinese side”, he has added.